Create your own data-feed at Statistics Greenlands Statbank and paste the url in the form below. Time.This variable is found by looking for the role "time" in the dataset, and will become the horizontal axis on the bar and line charts. Only one variable with role "time" is allowed. Multi-classification variable. This variable is used to group the data in different data series. Other variables. The dataset may include additional more 1-dimensional variables. 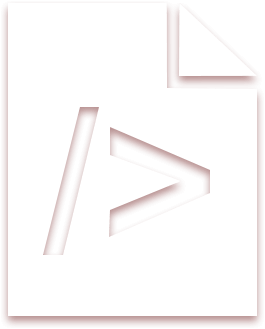 The source code is freely available for use on your site. Head over to grab your own copy at github. 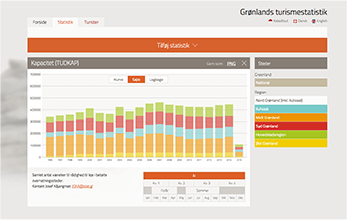 Our statistics API provides data for Visit Greenlands tourismstat-website.